Here’s everything you wanted to know about Joshua Tree National Park’s namesake tree (and why it's probably not a tree). 1. Why is it a Joshua tree? Botanists call it Yucca brevifolia, a member of the asparagus family, but it has collected many names over time. Mormon settlers in southern Utah nicknamed it “the Joshua,” supposedly because the striking, human-like form was reminiscent of the biblical Joshua reaching up to the sky. The Cahuilla tribe called it “hunuvat chiy’a” and used the leaves as a source of fibers for ropes and mats, and the roots for basketry. California settlers preferred “tree yucca” or “yucca palm” until the early 1900s, when the more evocative “Joshua tree” stuck. 2. Is it really a tree? In fact, the same could be said of palm trees, and we don’t spend much time arguing that point. 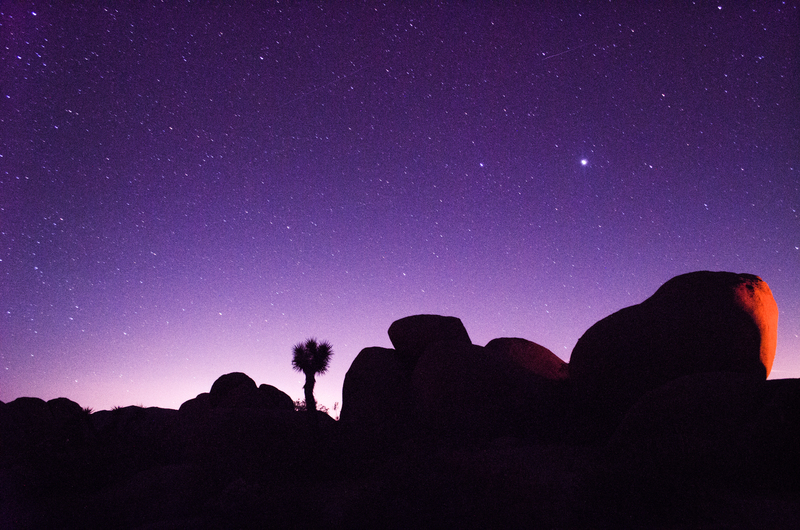 Stand in the shadow of a Joshua tree and decide the truth for yourself. 3. When do they bloom? Watch for clusters of creamy, greenish blooms to emerge following rains in late winter and spring (February to April). You won’t be the only one on the lookout. Joshua trees have one pollinator: the yucca moth. Female yucca moths carry clumps of pollen from flower to flower, working hard to pollinate as many flowers as possible so that the plant will produce fruit. 4. Why the U2 connection? A generation was introduced to Joshua trees through an unlikely source: U2’s 1987 blockbuster album The Joshua Tree. 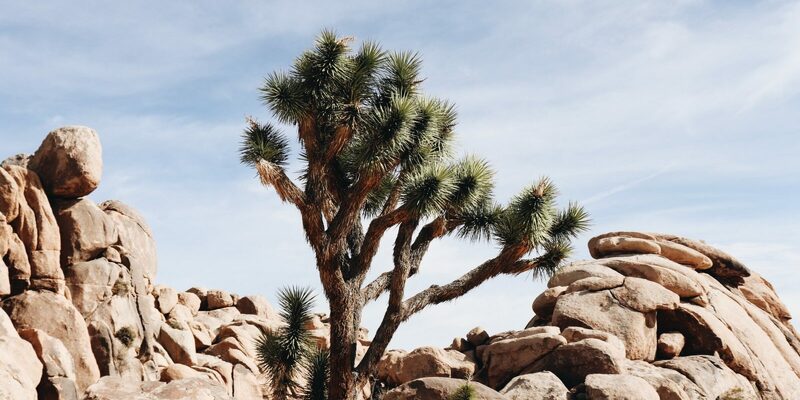 Photographer Anton Corbijn brought up the idea of using Joshua trees in the photoshoot for the jacket art — the band not only agreed, they adopted the name for the album (good choice: the working titles had been “The Desert Songs” and “The Two Americas”). Don’t say it aloud here, but the photos in the U2 album were actually taken just outside of Death Valley National Park. They actually aren’t. 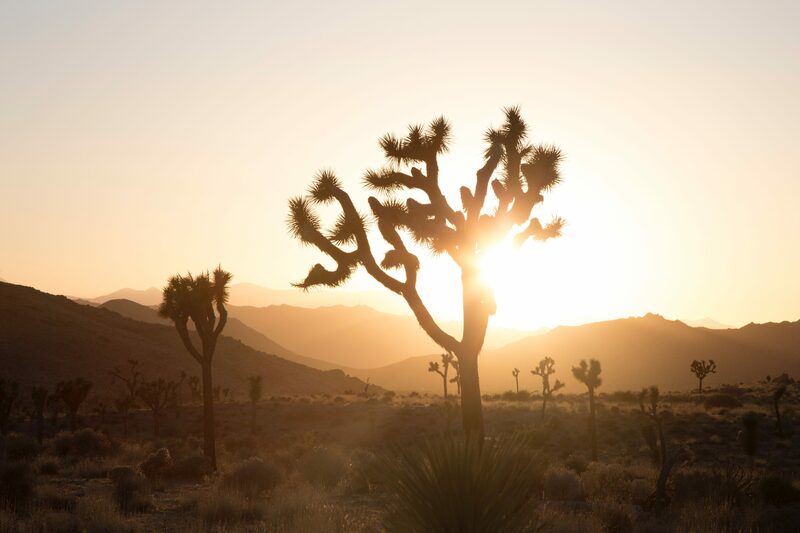 Joshua trees may look lonesome, but watch closely: They are also a shelter, food source and perch for many desert animals. Wood rats use the spiny leaves to make their ramshackle nests. The tiny desert night lizard lives under fallen and decaying Joshua tree limbs. And watch for loggerhead shrikes, a small, innocent-looking grey-and-black bird with the gory habit of impaling its prey on sharp things like Joshua tree leaves. 6. Wait, where’s Joshua Jr? Why don’t you see many young Joshua trees, or “baby Joshuas”? Once they mature, they need only a small amount of rain to survive, but young trees are much more sensitive to drought. 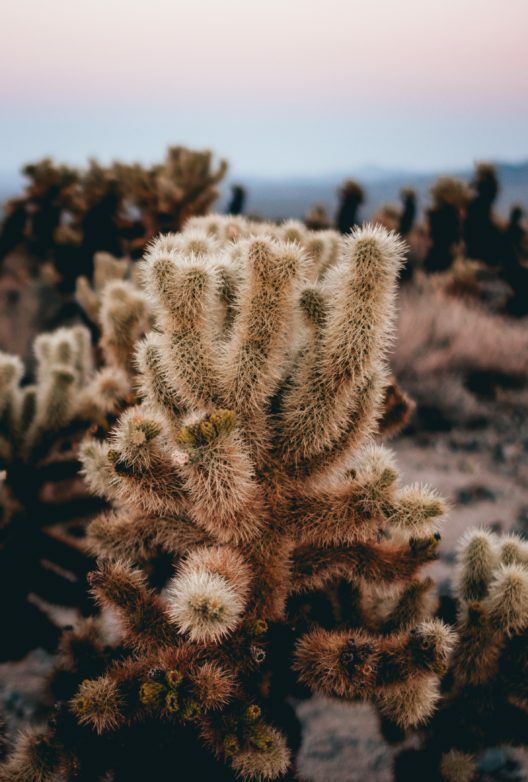 With climate change worsening, and ongoing droughts in Southern California deserts, fewer plants are able to reach maturity. The current prognosis is dire: By the end of the century, around 90 percent of Joshua trees could be gone. What can we do? Help efforts to protect their habitat and minimize our impact on the land. 7. They look weird. How best to describe Joshua trees? Andy Murdock is a travel writer, and botanist, based in Alameda, California. WATCH: How to Drink Like a "Beer Sommelier"